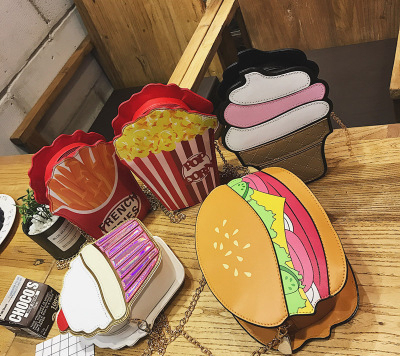 These bags are cute, whimsical and fun to carry. 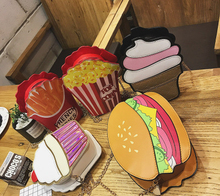 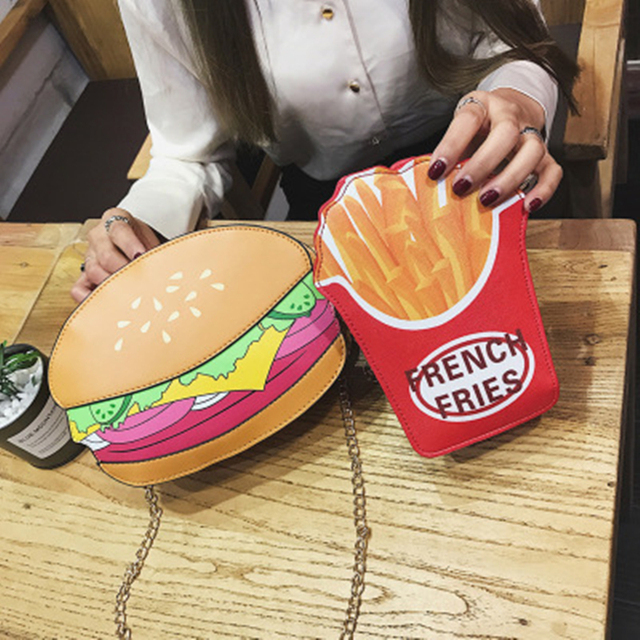 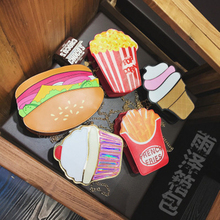 Pick your favorite from Hamburger, French fries or Popcorn. 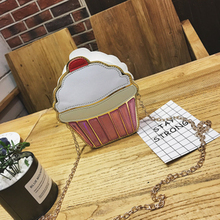 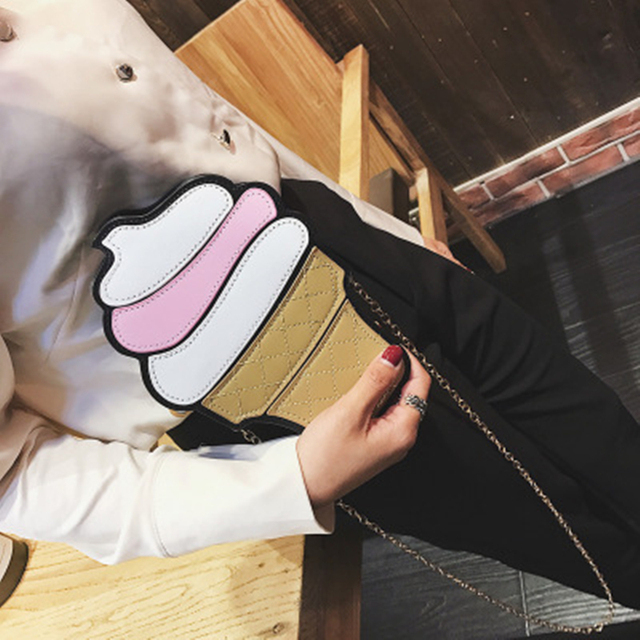 Zipper closure and interior pocket for cell phone and money.